Things have really changed since then. An evolving rental market and growing economy have made single-family houses popular rental property investments. Maybe you’re a new landlord who has inherited a single-family home from a family member. Or, perhaps you are moving out of the single-family home you once occupied and you know that renting out the property instead of selling it might bring you better returns in the long term. You might also be part of the new investment class seeking single-family properties to strengthen and grow a real estate portfolio. You can adopt a number of different investment strategies when you’re working with single-family properties. As an investor, you can buy and flip homes. With this strategy, you’ll buy a single-family home at a great price, and then do the work that’s required to make it more desirable on the sales market. You’ll have renovations and remodels at a cost, but you’ll be able to sell it for a lot more than you bought it. This strategy of flipping houses was popular for a long time, and some investors still enjoy doing it. When you’re in the right market and working with the right properties, it can be a beneficial way to earn a great return on your investment. There’s a different trend that’s taking hold now among investors, however. Where many investors once flipped the homes they purchased, investors are now moving to a buy and hold strategy. They are focusing this strategy on single-family homes, more so than multifamily homes and apartment buildings. The rental market has grown and become an excellent place for investors to earn short term cash flow as well as long term investment returns. With an influx of highly-paid, well-qualified tenants, landlords and rental property owners in Fort Worth and the surrounding areas are in a great position to choose quality tenants from a large pool of potential renters. There isn’t enough inventory to make competition for the best tenants particularly fierce. Investors know that with a well-maintained and appealing home that’s priced correctly, it’s easy to earn an impressive return off their rental property. Therefore, there’s no need to flip those homes. It makes more financial sense to rent them out. The economy in Fort Worth is also a factor. It’s stable and growing, with low unemployment and a high level of consumer confidence. This also contributes to a stable rental environment for investors and landlords. With a solid real estate market, rental market, and economy, there’s no need for investors to buy and sell quickly. It’s an ideal time to let the asset grow in value while renting it out to tenants who can help pay down the mortgage and maintain the home. So, with all the options for residential real estate, why are single-family homes a good idea for investors? Investing in single-family homes is considered to be a more stable investment strategy with long term goals. It’s more reliable than the multifamily model right now. There are a couple of factors that explain this. First, there’s a larger inventory of single-family homes, even with new construction contributing to the growth of condos and apartment buildings. With all of the unique neighborhoods in and around Fort Worth, it’s easy to find an opportunity to buy a single-family home. They’re available in all budgets, sizes, and situations. As an investor, you want to make smart decisions about why you buy. You’ll get a greater return on the single-family home you acquire than you would on the building you acquire. The purchase price is lower, and the value will continue to increase at a faster pace. Another benefit to buying a single-family home in the Fort Worth rental market is that you’ll have an easier time obtaining a mortgage. If you need to finance your investment purchase, you’ll have a better chance with lenders when you’re buying this type of residence. 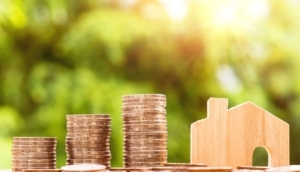 You might be able to get the same lending terms on a duplex or a triplex, but if you are thinking about buying a building, the financing will be much different and a lot more challenging. Tenants in single-family homes tend to be more stable and more willing to rent for the long term. This is due to a changing cultural landscape. Today, families are increasingly seeking the lifestyle that comes with residing in a single-family home. But, they want to maintain the freedom and flexibility that they get with renting. When you have a single-family home on the rental market, you have the potential of attracting tenants who are going to pay rent on time and treat the home as if they own it. They will generally be better about maintenance, and they’ll care for the yard and the landscaping. At Specialized Property Management in Fort Worth, we are the leader in single-family residential management. Single-family homes make up over 80 percent of our management portfolio. No one knows the business of managing these homes better. There are a few things that we do which stand out. First, we have a technology-driven process that helps us manage single-family homes with efficiency and effectiveness. Our property management software is user-friendly and encompasses nearly everything we need to be excellent property managers. With our technology and our excellent communication skills, we are able to quickly rent your home out to great tenants. You won’t have to worry about losing money on high vacancy rates. You won’t have to worry that the advertising isn’t working. Our marketing is strategic, our pricing is competitive and designed to earn you as much income as possible, and our screening process is consistent and thorough.We offer a tenant portal to our residents and an owner’s portal to our landlords and investors. Tenants can use their online portal to pay rent electronically, schedule rental payments in advance, and see a complete history of their rental payments. They can also request maintenance online, which provides us with the written documentation that’s necessary to keep the condition of your property protected. With our owner’s portal, you’ll be able to receive your rental payments electronically. You’ll also get statements and run reports. All of the important documents are available in your portal, including leases, invoices, and inspection reports and photos. 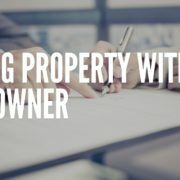 You’ll have access to all the information you need about your single-family investment property. Second, we have an experienced and in-depth level of knowledge in the Fort Worth rental market. We know where to find single-family homes in and around Fort Worth, and how to evaluate them in terms of whether they’ll make profitable real estate investments. We can walk you through how much you can expect to earn in rent, what types of tenants may be interested in your home, and what types of improvements and updates would be worth your investment before we turn your home loose on the rental market. We understand the maintenance that’s required with single-family homes. With a multifamily building, maintenance is fairly routine. With a single-family home, however, there are going to be three different types of maintenance required: routine, preventative, and emergency maintenance. We conduct routine repairs as we learn they’re needed from our tenants. We are available 24 hours a day and seven days a week to respond to emergency maintenance. And, we put together a list of preventative maintenance measures that we believe will help you save you money on unexpected repairs and replacements. 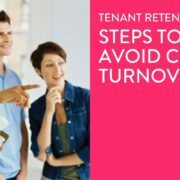 Finally, our ability to develop and maintain strong tenant relationships allow us to increase your tenant retention and avoid turnover costs. With multifamily buildings and apartments, it’s difficult for property managers to get to know every tenant. But, we are able to get to know your property and your tenants individually. We work hard to keep in touch with tenants and make sure we’re meeting their needs. Our goal is to ensure the rental experience is a positive and successful one for everyone. We know that happy tenants lead to happy property investors. According to the National Association of Realtors, single-family homes are the preferred property type for real estate buyers. As an investor, you especially need to consider the benefits and the ROI potential of a single-family home. These properties make the best possible investment homes, and they will help you earn more in the long term as well as the short term. We stand above the competition that still relies on a multifamily model when it comes to professional property management. Talk to us about how those outdated models won’t work for any single-family homes, especially not yours. Put our experience and our talent to work for you, and contact us today at Specialized Property Management in Fort Worth.